What do you do in a scenario where you are hit by a driver with little to no car insurance? What if the person who hit you has no liability coverage or not enough/insufficient coverage funds to cover your damages? If the driver has no insurance and no money to cover your injuries, what are you to do? 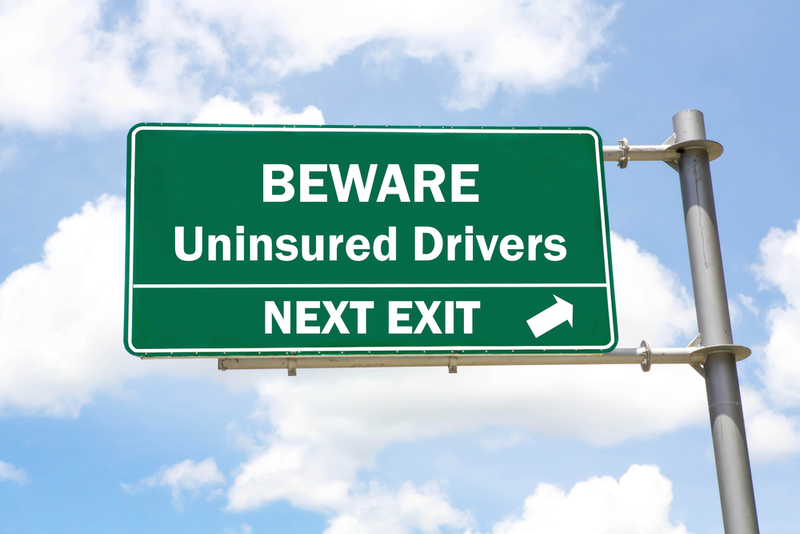 It is for these reasons that it is important to have uninsured/underinsured motorist coverage. It comes into play when you or your passengers are injured in an accident where the at-fault driver has no bodily injury (BI) coverage or a very small amount of BI coverage. Uninsured motorist coverage will cover your medical expenses, lost wages, and non-economic damages such as pain, suffering, and loss of ability to enjoy life. This coverage will also travel with you in case you are not driving your own vehicle. It will also cover you if you are on a bike or if you are a pedestrian hit by a car. April is distracted driving awareness month. Statistically, young drivers are more likely to drive distracted. Young drivers are also more likely to have no or insufficient car insurance coverage. A recent accident in Sarasota involved a teen driving with only a permit and he caused an accident with a tanker truck. A 26 year old driver in Brooksville got distracted when he dropped his cigarette and hit a family of four walking along the side of the road. If you are the victim in a similar situation where the at-fault driver has insufficient liability coverage, what are you to do? Uninsured motorist coverage should be considered your most important piece of self-protection in an accident. It is easy to think that you will never be involved in a serious car accident. And while we hope that you never are, you should protect yourself just in case. If you are hurt in a car accident and have any questions or concerns about your insurance coverage, do not hesitate to contact us. It is always free to sit down and talk with us. We take pride in establishing one-on-one relationships with our clients that are founded on trust.